THE OLD COLLEGE TRY WORKS! At Bradley University in Peoria, Illinois, it’s more than their approach to the study of entrepreneurship that is unique. For one thing, the school was founded by a woman, Lydia Moss Bradley, back in 1887, a time when women wouldn’t get the right to vote for another three decades! The ceiling for women wasn’t “glass” then, it was cast iron. Lydia herself was a real anomaly and pioneer as a female entrepreneur and educator. After suffering many personal tragedies, she managed to amass a sizable fortune and dedicated it to education. She built Bradley University as her gift of light to the world. Originally dedicated to the study of clock making, it morphed over the years into engineering and then into the liberal arts. 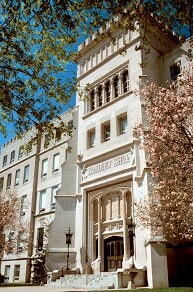 In 2007, Joanne Glasser became the first woman president of Bradley University since it was built. She saw the need for a stand-alone school of entrepreneurship and recruited one of the top pioneers of entrepreneurship education, Gerry Hills. Gerry had developed an impressive program at the University of Illinois. He also was the founder for the Collegiate Entrepreneurs Organization (C.E.O. ), created to encourage college students to start their own businesses. The C.E.O. has over 4000 members in 240 chapters in 43 states. Joanne did not just want a stand-alone school of entrepreneurship, even though it was an innovative and relatively new concept. She and Gerry also wanted to see it collaboratively integrated with the other disciplines already in existence at Bradley. To that end, she created a committee made up of the deans of all the various schools and charged them with developing a program and sharing ideas with colleagues across the university to benefit all students. Joanne went on to raise 150 million dollars to renovate the campus and build the Turner School of Entrepreneurship in 2010, which was the first of its kind in the nation to offer entrepreneurship education to all majors. We believe that true entrepreneurship can most successfully be taught by applying a strong background in sales and what we call business navigation. These skills require a solid foundation in the liberal arts and in the guiding principles necessary for success. The integrated program at Bradley not only offers a degree in Entrepreneurship, but also a minor in Entrepreneurship for those studying other disciplines, and even a shorter Entrepreneurship Certificate program. This enlightened and flexible approach makes business education accessible to students who seek self-employment as well as to those who just want to better understand how business is conducted in the real world. This will give all Bradley grads a big leg-up in the work force as employers are increasingly looking for employees with some background in entrepreneurship. As they learn more about independent enterprise, students feel more confident about starting their own businesses, no matter their major. 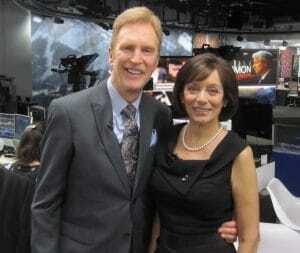 Joanne Glasser and Gerry Hills’ dream has come true! The Turner School of Entrepreneurship is the model for the future of entrepreneurship education. Cheryl Sandberg has decried the “glass ceiling” for woman in the corporate world, but Bonnie has pointed out that there is no glass ceiling in the world of entrepreneurship. In fact when one practices out-of-the-box thinking, there is no ceiling at all. How fitting that the vision of two women, Lydia Moss Bradley and Joanne Glasser, spanning over a century would create this great opportunity for men and woman to improve their chances at financial success. Last week we were honored with the 2014 Distinguished Entrepreneur Speakers Award at Bradley University. Throughout the day we spoke to a number of students in various classrooms, culminating in a talk to a full auditorium of 350 students from all disciplines. 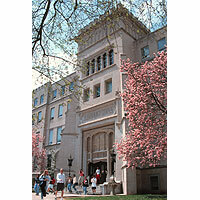 At Bradley, in all subjects of study, students have the opportunity to learn how to run a business themselves. In today’s uncertain world, we look forward to seeing more universities teaching their students in this all-inclusive manner.